The successful emergence of on-line communities, such as open source software and Wikipedia, seems due to an effective combination of intelligent collective behavior and internet capabilities However, current internet technologies, such as forum, wikis and blogs appear to be less supportive for knowledge organization and consensus formation. In particular very few attempts have been done to support large, diverse, and geographically dispersed groups to systematically explore and come to decisions concerning complex and controversial systemic challenges. In order to overcome the limitations of current collaborative technologies, in this article, we present a new large-scale collaborative platform based on argumentation mapping. To date argumentation mapping has been effectively used for small-scale, co-located groups. The main research questions this work faces are: can argumentation scale? 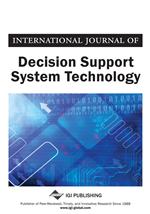 Will large-scale argumentation outperform current collaborative technologies in collective problem solving and deliberation? We present some preliminary results obtained from a first field test of an argumentation platform with a moderate-sized (few hundred) users community.